This year a goal of mine has been to get more greens into our meal rotation. Spinach, chard, collards, kale — if it is green, I am trying to cook with it. There are a ton of different greens out there but I have to say, I am really partial to kale. It is sturdy, so it holds up to all different types of cooking, and it’s versatile so it is also delicious raw. Plus there is the bonus that it is RIDICULOUSLY CHEAP! 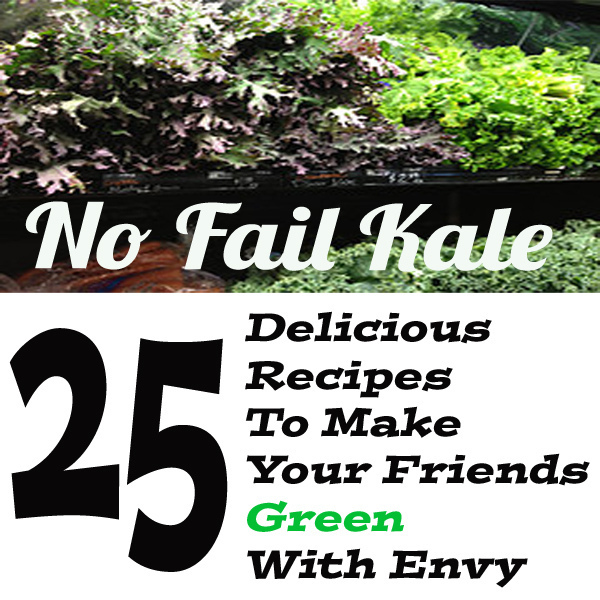 There are so many recipes out there that feature this amazing GREEN, so if you are looking to squeeze more kale into your rotation too, here is a bit of inspiration. 16. Christine Cooks’ Kale Pesto Toss with spaghetti squash, maybe?